You’re hooked on painkillers from your workers’ compensation injury and now you can’t kick them, is this covered? Many workers are prescribed prescription painkiller medications very early after suffering an industrial accident. Why? While the California workers’ compensation system is designed to provide prompt medical attention to injured workers, in reality, the system is bogged down by treatment guidelines, medical reporting requirements and other technicalities by otherwise already overworked physicians’ offices. From a practical standpoint, writing a prescription is fast and easy for a doctor to do to relieve immediate pain. But, this can lead to unhealthy consequences where dependence and abuse of prescription opioids develops. The good news in the state of California, the use of these very dangerous drugs to assist injured workers is declining. Yet, nearly one-quarter of the painkillers prescribed by doctors in the CA workers’ compensation system are still opioids. Even with professional pain management specialists prescribing and managing an injured worker’s medications, addiction to these drugs is possible. So what happens if an injured worker develops an unhealthy dependence on opioid medications? The CA Labor Code outlines broad medical treatment responsibility by an employer for an injured worker: Section 4600(a) Medical, surgical, chiropractic, acupuncture, and hospital treatment, including nursing, medicines, medical and surgical supplies, crutches, and apparatuses, including orthotic and prosthetic devices and services, that is reasonably required to cure or relieve the injured worker from the effects of his or her injury shall be provided by the employer. 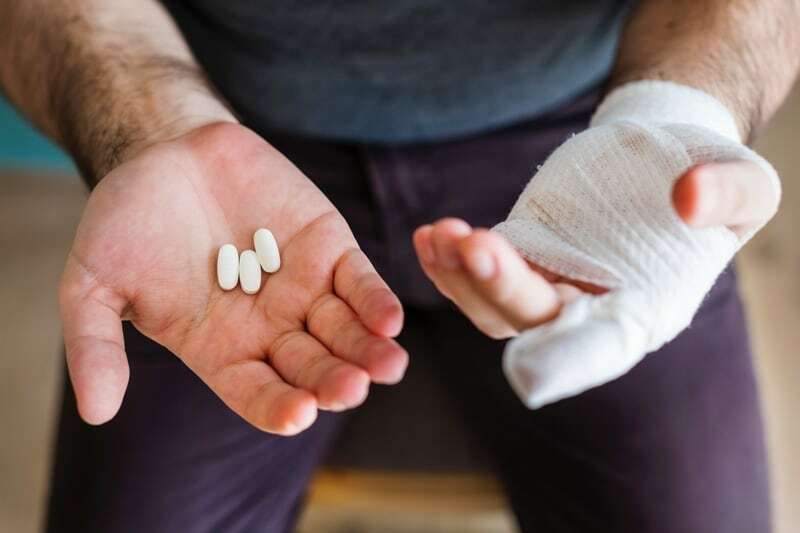 Thus, in the event that an injured worker does become addicted to prescription painkillers, the workers’ compensation system is responsible for any reasonable medical treatment that is necessary to assist with recovery. This could range from a full inpatient detoxification program to a coordinated functional rehabilitation program. Our San Diego workers’ compensation attorneys are familiar with the complexities that can develop in cases as a result of opioid medications being prescribed. These are cases we are comfortable pursuing and the Law Office of Gerald Brody & Associates will work hard to ensure you have adequate representation to assist in whatever treatment needs are required to return you to work. Call us today at (619) 528-9800.